Matuszewski - Rabicoff Law | Resolving your IP disputes. Kenneth “Kenny” Matuszewski is an associate who concentrates his practice law in the area of intellectual property, with a particular emphasis on patent litigation. Mr. Matuszewski has extensive experience litigating patents in the software, electrical and mechanical arts in several federal courts and the PTAB. He also advises clients on design patent and trademark protection. Further, Mr. Matuszewski currently represents international technology companies, small businesses, individual inventors, novelists and artists. Defeated a motion to dismiss counterclaims in full and preserved potential damages of $183,600. Prevented the PTAB from instituting IPR2018-00304, IPR2018-00418 and IPR2018-00419. Defended expert and non-expert witnesses in PTAB and judicial proceedings. Successfully participated in oral argument and prevented defendant from striking defenses. Represented a SIM card manufacturer in patent infringement action at the Northern District of Illinois and obtained a favorable settlement. Lead negotiations and discussions with local counsel in the District of Delaware and Central District of California. Invited Speaker: “How to Succeed this Summer: Small/Midsize Firm,” Chicago-Kent College of Law Career Services, April 18, 2017. Invited Speaker: “From Mom’s Basement to Madison Square Garden: Navigating the Intellectual Property Issues in eSports,” Chicago Bar Association Young Lawyer’s Section, Intellectual Property Committee, May 3, 2017. Guest Speaker: “Trial Demonstratives: Seeing is Believing,” Hon. Richard Linn American Inn of Court and Chicago Intellectual Property Law Association of Chicago Joint Meeting, May 17, 2017. Invited Speaker: “Navigating IP Issues in eSports,” 2112 Chicago, Aug. 15, 2017. Invited Speaker: “Fundamentally Ornamental: The Art of Design Patents,” Chicago Bar Association Young Lawyer’s Section, Intellectual Property Committee, Jan. 3, 2018. Moderator: “Clearing the Skies: How to Fly with the Mandatory Initial Discovery Pilot Program,” Illinois State Bar Association, Jan. 17, 2018. Invited Speaker: “How to Succeed this Summer: Small/Midsize Firm,” Chicago-Kent College of Law Career Services, April 18, 2018. Casting Out Confusion: How Exclusive Appellate Jurisdiction in the Federal Circuit Would Clarify Trademark Law, 18.1 W. Mich. U. – Cooley J. of Prac. & Clinical L. (Nov. 2016). Isaac Rabicoff & Kenneth Matuszewski, Intellectual Property Without Borders: How IP Protection for Low-Cost Medical Devices Improves Global Health, IPWatchdog (Feb. 10, 2017), http://www.ipwatchdog.com/2017/02/10/ip-protection-low-cost-medical-devices-improves-global- health/id=78152/. Kenneth Matuszewski & Isaac Rabicoff, Unwired Planet: Brakes Applied to Patent Trial and Appeal Board, Chicago Daily Law Bulletin (2017). Kenneth Matuszewski & Isaac Rabicoff, TC Heartland: Rocket docket tactics may have jets cooled, Chicago Daily Law Bulletin (2017). Isaac Rabicoff & Kenneth Matuszewski, The rise of eSports creates a complicated relationship with IP, IPWatchdog (Mar. 25, 2017), http://www.ipwatchdog.com/2017/03/25/rise-esports-complicated- ip/id=79418/. 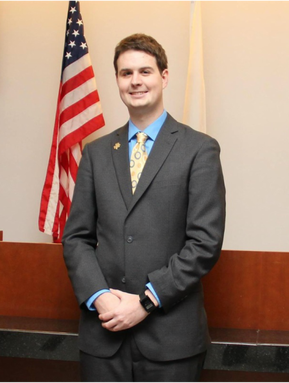 Kenneth Matuszewski, Ready, Illinois? Cracking the code on eSports, Intellectual Property: the Newsletter of the Illinois State Bar Association’s Section on Intellectual Property Law 57, no. 3 (Mar. 2018).